Now charging your multiple gadgets at same time is became easy. How ? Well it is because of the Shocket Protector from the house of Belkin. It provides premium power protection for your home appliances and other gadgets. It has advanced designed elements with top quality construction. 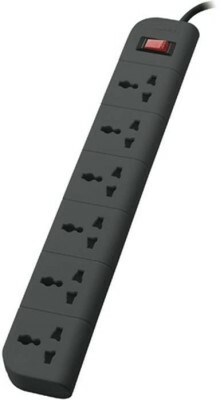 It will enable you to charge 6 devices at the same time. Isn’t great ? Its superior circuitry and components which provides the most complete protection from power surges,spikes, etc. Its slim sleek design blends seamlessly today’s advanced electronics. How to get this Shocket Protector at discounted price of Rs 936? The heavy duty cables measures 2 meters and it is more capable of delivering power uniformly. It has many features that you will wonder and you can go through this features from the link given. Buy this deal from flipkart at discounted price of Rs 936 and save 25 %. 16GB Pen Drive from Toshiba Hayabusa at Rs. 575. Save Rs. 50!